When you Accept a Slick appointment, your nominated credit card will be charged a small transaction fee. You'll need to set up your credit card details in the Slick page of your Simple Salon account. Enter your credit card details either after you Accept a Slick appointment, or via Admin in Payment Settings.  Go to the Slick section of your Simple Salon account and click Accept next to a booking. You will be notified of the total booking amount which the client will pay, and the small transaction fee which is charged to your nominated credit card. When you're ready, click Next. If you haven't yet nominated a credit card for the online booking transaction fee, you will be prompted to enter credit card details. Enter the credit card details, then click Accept. Your nominated credit card details will be saved. In the Slick section of your Simple Salon account, go to Admin, then expand the Payment Settings section, enter your credit card details, and click Update. Also, under the Booking Payment section, choose Pay At Salon or Pay Upfront and Save. For more details about what these options mean, click here.